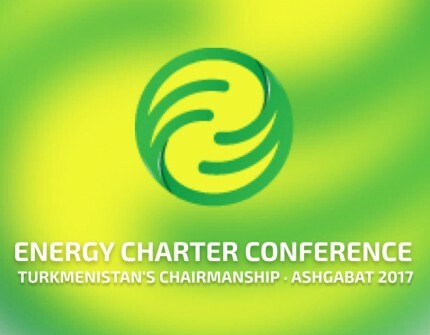 On November 28-29, 2017 Ashgabat will host the 28th session of the Energy Charter Conference. The forthcoming 28th session of the Energy Charter Conference will bring together the leaders and representatives of the relevant ministries and departments of the participating states and observer countries, a number of international and regional organizations. Great interest to the Ashgabat forum is shown by foreign media. The work of the 28th session of the Energy Charter Conference will consist of two parts: statutory and ministerial. The agenda of the forum will include the results of the Energy Charter's activities this year, as well as a wide range of issues related to further improving its work and promoting cooperation in order to ensure sustainable energy of the future. Special attention will be paid to practical implementation of President Gurbanguly Berdimuhamedov's international initiatives in the energy sector, gained support from the international community. Within the framework of the forum it is planned to organize a sectoral exhibition. Based on the results of the 28th session of the Energy Charter Conference, it is envisaged to adopt the Final Document, as well as to hold a press conference.